Angie became an LPN with Jerseyville Estates in March of 2013. She excelled at being a nurse, and in March of 2017, she was promoted to Assistant Administrator, then to Administrator in November of 2018. Along side her administrative duties, she still loves helping the nursing staff on the floor and assisting the residents with their needs. “I love the family feel everyone has created here.” Angie attended Marquette High School, and received her nursing degree at JB Johnson Career Development Center. She is married with five children, and has one grandson who she adores! 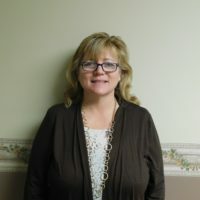 Elly was hired as an LPN at Jerseyville Estates in June of 2015, and was promoted to Assistant Administrator in January of 2019. “I absolutely love caring for and spending time with our residents.” Elly was raised in Roodhouse, IL, and is a graduate of North Greene High School. She received her nursing degree at Jacksonville School of Practical Nursing in 1989. 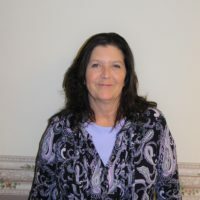 She now resides in Greenfield, IL with her husband and three children. In her free time, Elly enjoys outdoor activities and spending time with her family. We welcomed Paula to our team in February 2017. She is in charge of new admissions, billing, and other day to day operations. She loves interacting with the residents and is always making sure the moving process goes as smoothly as possible for them. Paula is married, has one son, and two granddaughters that she loves spending time with! In addition to spending time with family, she likes to paint and travel. Rusty has been here since we opened in August 2011. She began her career here as a CNA, and still enjoys helping the nursing staff when she can. As the Life Enrichment Director, she plans and organizes activities and events that engage residents, encourage socialization, provide entertainment, and improve daily living skills. “I love keeping the residents busy with lots of fun activities and events!” She is married and has four children and eleven grandchildren. Family is very important to her, and she is always trying to spend as much time as she can with them! 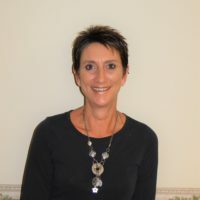 Mary Wilson has been with us since the opening in August 2011. 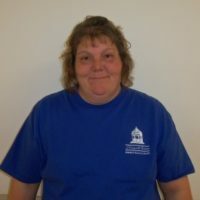 Mary oversees the operations of the dining service and ensures Jerseyville Estates residents have a variety of delicious home-cooked meals daily. 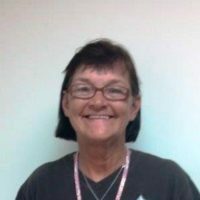 “I am extremely happy to be working at Jerseyville Estates with all of our wonderful residents.” In Mary’s leisure time she enjoys fishing, camping and spending time with her family. Mary and her husband Jeff have 3 children, Brandon, Jared and Whitney.